I watched Crossroads worship this morning on-line, but it was Saturday night back home. I marveled at the blessing of freely worshipping on both sides of the world simultaneously. 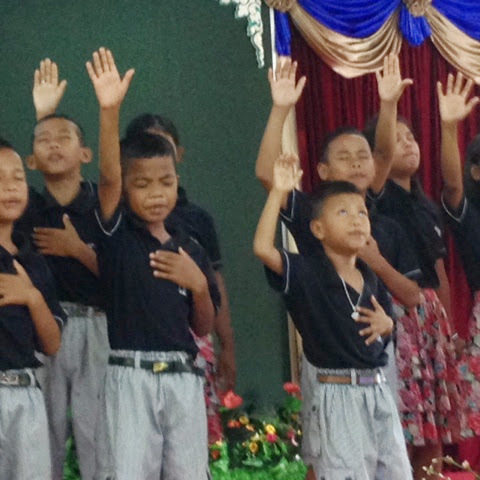 The rescued children of Asia's Hope have a much deeper understanding of God's mercy and saving grace then we do, they were physically saved from evil and then began to know God. It moves my heart so deeply to watch them worship, and I count it a privilege to join them when we come. 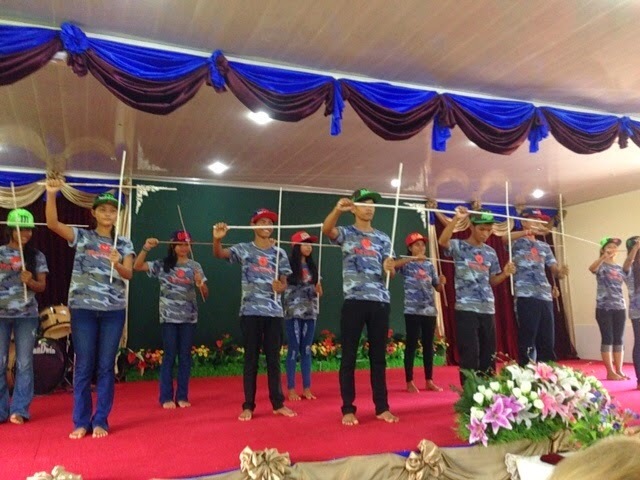 This PE home visually demonstrated being soldiers of The Lord VS the young soldiers that were forced into horrifying evil years before them in Cambodia. 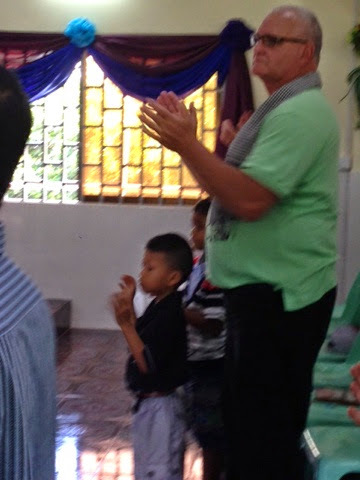 I thought this little one worshipping next to big 'daddy' Greg, was a perfect contrast of small innocence just starting out on his journey against this grown man of God. 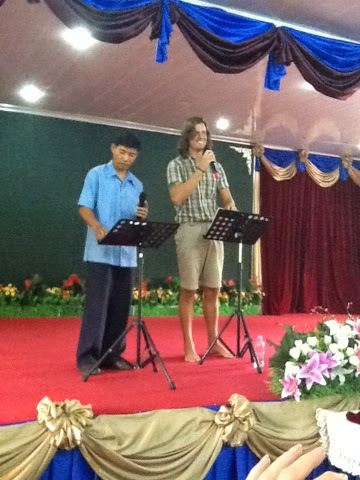 I even got the privilege of being taught by Aaron today, my son-in-law shared God's Word with all of us and it was great! He's extremely gifted. I think God has amazing things in store for him!! As I close my eyes - hoping to sleep despite the relentless noise from the busy street outside, I thank The Lord for granting me this day and for all the amazing things it contained! !